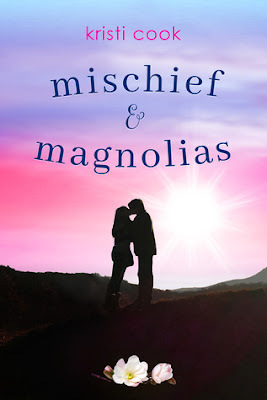 According to the author, this is a novella-length, digital-only sequel to Magnolia. Magnolia was a 5 star read for me. I don't give 5 stars very often, so it really means something coming from me. This is a novella, so I'm sure it's just enough to tease me and leave me wanting more. Sigh. Oh my why are their parents not happy? That's what I'm wondering too, Angela. The idea of the kids getting married in the future was 'cute' when they were younger, but the parents are being hit with the reality of having young adult children that are in a real relationship. Nice pick! Doesn't sound like my kind of read but I hope you will thoroughly enjoy it once you get to read it! Thank you for stopping by today, Jessica! What a cute cover :) I hope you love this one! Thank you for visiting my WoW today, Brittany. Wow! This sounds like a modern retelling of Romeo and Juliet! I hope you enjoy this book! I loved Magnolia as well! It's my favorite Kristi Cook book and I (along with so many others!) am very excited about this addition to the story. :D I hope you enjoy this book when you get a chance to read it!